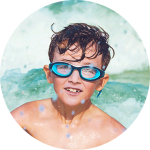 Year round fun on the beach! 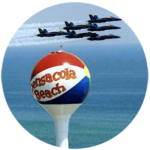 The beach is the setting for a calendar of events full of diverse and inviting things to do: from the Pensacola Beach Air Show, to Bands On The Beach live concerts every Tuesday night at the Gulfside Pavilion, to stargazing on clear nights, to signature sporting events and festivals like the Crawfish Festival, Taste of the Beach and Art & Wine Festival. There’s always something going on, so check out our full calendar of events below. New Year’s Day, January 1 2 p.m. Brave the cold and start the New Year with a dip in the Sound. 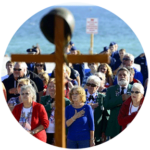 January 2019 9-10:30 a.m. Pensacola Beach welcomes winter visitors at this fun event. 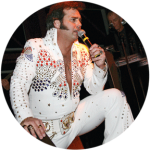 Meet at Pensacola Beach Community Church, enjoy a light breakfast, shopping local businesses and explore Pensacola Beach via our Trolleys beginning at 10:45 a.m. Plus this year enjoy the music of an Elvis Tribute and win big at Trivia Blast Bingo! Saturday, Feb.1st, 2020. 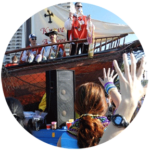 Pensacola Sports Association presents the Double Bridge run. Run over both bridges or just one all the way to beach. Parties, parades and activities for kids and adults. GO IRISH ON THE ISLAND! 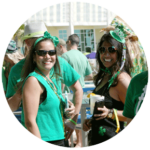 March 17, 2019 St. Paddy’s Day Pub Crawl 10:30 a.m. – 6:00 p.m. Make your way through dozens of beach bars, restaurants and hotels serving up Irish drink specials, music and mischief. 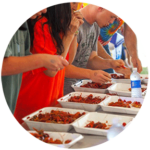 April 19-21, 2019 11 a.m. Mudbugs invade the Pensacola Beach Boardwalk in April again with the annual Pensacola Beach Crawfish Festival, hosted at Bamboo Willie’s. July 4, Sound side 8:30 p.m. 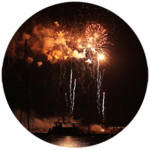 Celebrate your independence with fireworks on the sound side of the Island. A family friendly afternoon of games, activities, entertainment to educate and celebrate Sea Turtles. 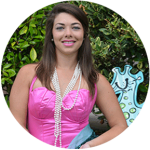 Take the Sea Turtle Friendly Oath, Meet Meg the Mermaid. Touch a real turtle shell. Lots of giveaways. 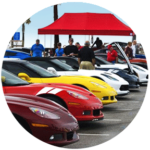 September 28, 2019 Corvette show with vettes of all ages to admire at Casino Beach parking lot. 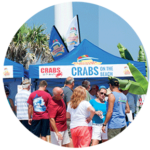 October 18-19, 2019 Pensacola Beach’s biggest culinary event happens in September, and you’re invited! The 12th Annual Taste of the Beach will start with a special VIP dinner on the Friday night, and the fun will continue the following day, Saturday, with cook offs, cooking demonstrations, a chef challenge, sample tastings and live concerts along the sugar-white sands and emerald green waters of Pensacola Beach. 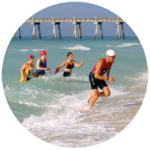 October 5, 2019 A nationally acclaimed USAT-sanctioned sprint triathlon. October 6, 2019 Held at Park East, this event features a full triathlon experience for children from seven to 15 years old. 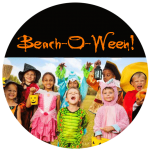 October 25, 2019 (tentative) Halloween event held on the Boardwalk for the whole family! 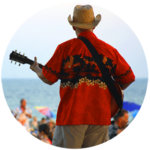 November 10, 2019 A weekend of art and wine on Pensacola Beach Boardwalk. 11 a.m.-4 p.m. Looking for a unique winter wonderland this holiday season without the frigid temperatures? Pensacola Beach, with its sugary-white sand, offers guests a guaranteed white Christmas and is jam-packed with “island style” holiday activities guaranteed to get even the worst Scrooges in the spirit. TBA Lighted Boat Parade 6:30 p.m. 4 p.m. Pre-show party for kids. 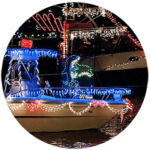 Lighted Boat Parade from Sabine Marina to the Pensacola Beach Boardwalk – View parade procession in Little Sabine at 6:30 pm. View from Quietwater Beach area at 7:30 p.m. Look for Santa on the lead boat! Fireworks with Santa- Soundside- 8 p.m.
TBA Surfing Santa Beach Parade 2 p.m.- 3 p.m. Thousands of children, parents and other spectators make their way to Pensacola Beach on Sunday to see Santa Claus making his way down Via De Luna Drive atop a Pensacola Beach fire truck at the annual Surfing Santa Beach Parade. 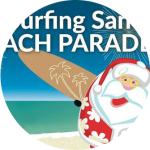 Starting at 2 p.m. from Avenida 10, the parade will make its way down Via De Luna toward Casino Beach and end at the Gulfside Pavilion. 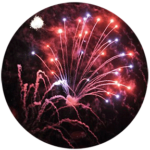 December 31 New Year’s Eve Fireworks Midnight Keep your eyes focused on the Pensacola Beach skies this New Year’s Eve for a free firework displays along the Pensacola Beach Boardwalk. 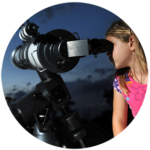 At midnight a dazzling light display, provided by the beach chamber, will take place overlooking the Santa Rosa Sound from the Pensacola Beach Boardwalk. January 1, New Year’s Day Polar Bear Plunge 2 p.m.